In their attempt to legalize medical marijuana in 2014, a statewide initiative suffered a huge defeat. Amendment 2, which would have legalized the medical use of marijuana for seriously ill patients, won the approval of an impressive 58 percent of the voters, but still fell short of the required 60 percent. Nevertheless, it was an impressive showing of a public support for medical cannabis within a state that is known to be highly conservative. This year, however, the initiative has gotten a green light and has now qualified for the 2016 general election. In front of cameras and supporters, Regulate Florida’s campaign chairman Michael C. Minardi, explains the need to reform cannabis laws in the state and how the newly announced ballot initiative will protect the most vulnerable members of the society – children. The press conference was held on August 28th in a prohibition-era themed bar. Campaigners obviously wanted to send the message and made the perfect backdrop for demonstrating that responsible regulation is a far better alternative than an unregulated black market. Minardi talked about the Colorado case and cited many facts and statistics that support the initiative’s beliefs about many benefits that medical marijuana brings to patients. 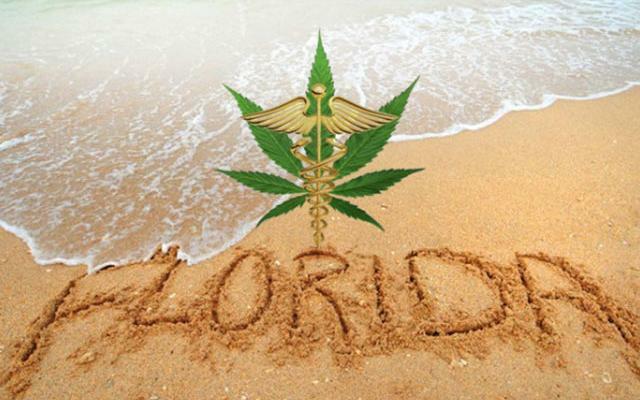 This is huge news for voters from Florida who already made plans to head into the polls next year to establish a statewide medical marijuana program. As long as the campaigners behind Regulate Florida manage to collect the necessary 683,149 verified signatures, the voting population could be in a position to decide on whether they would prefer to legalize cannabis solely for medicinal purposes or go for both solutions and create a regulatory model that would allow the plant to be sold in a manner similar to alcohol. The initiative aims to create a taxed and highly regulated market that would allow retail cannabis shops to open up across the state, giving Florida residents something that resembles what is currently underway in Colorado, but with nice weather, palm trees and sandy beaches in the background. And old people. The timing is tight for Regulate Florida – they have until February 2016 to collect all the signatures required to earn a spot in the ballot in the next year’s election that will happen in November. But timing is not the only issue. These types of campaigns are extremely expensive! The group will need millions of dollars if they want to have a fighting chance at competing for the vote. If you look at the case of last year’s failure, which cost over $4 million, you’ll get the picture of how much will be needed for this year’s campaign. However, there’s also a possibility that voters will get confused because there will be two initiatives presented in the polls. Even if the ballot language is understood by all, which is rarely the case, the voters might split to those who only support medical and vice versa.